Welcome to the KM Media Group website. The site hopes to tell customers, advertisers and people interested in finding out about local advertising and promotions with KM Media Group. 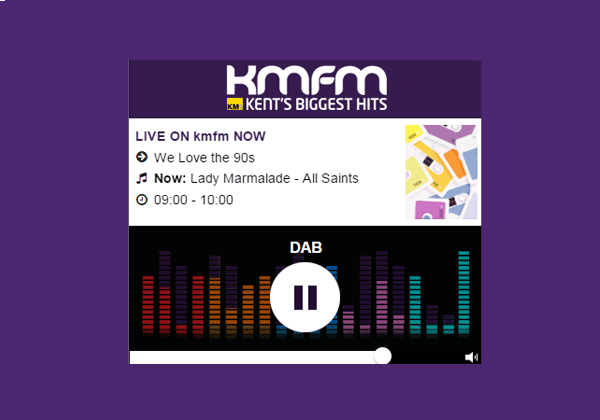 We are proudly a multimedia company with publishing, broadcasting and online channels for the people of Kent. Our output is exclusive, trusted and connects communities across the county with the things that matter. Our products reach audiences across the county in excess of 1 million people each week. We are independent and family owned and can trace our origins back over 200 years in the county. 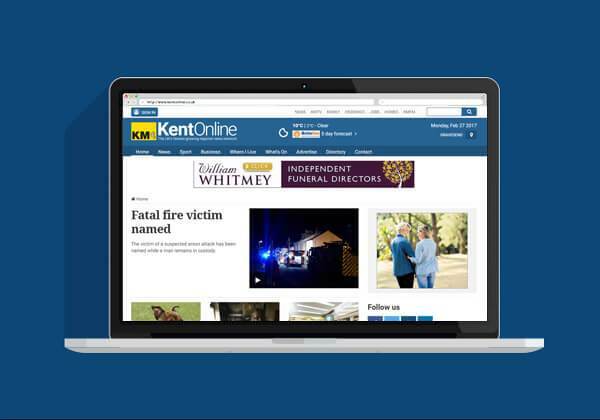 We have continually innovated and invested to ensure we can deliver the most comprehensive media offering in Kent. Kent's population trust us and understand our products are designed for them. Our advertising team can provide you with the opportunity to access attentive and otherwise elusive audiences across Kent that can help you grow your business - whether you want to reach the whole county or a part. We work with 1000's of businesses across the county - ranging from biggest brands such as P&O Ferries and Shepherd Neame through to the tiniest of businesses and aim to come up with the advertising programme that's right for you. We can ensure your budget is well spent and help make sure your business is using some of Kent's most successful advertising channels and can offer you incomparable multimedia audiences on a localised basis. Please do get in contact with us - we'd really like to work with you ! Man dies in 'hit and run' - Officers are appealing for information from anyone who saw the moments leading up to a man's death. Travellers move to park - A group of travellers have moved to a park. Cost to Kent councils of running EU election could top £2m - Councils won't be short-changed by EU vote, says government, despite Brexit. 'We need to take a stand now' - A mum is urging the government to make changes to stop climate change as she joins the London protests. 114 fines in Kent for breaching council bans - More than 100 people in Kent have been fined for breaching council bans on swearing, cycling and having dogs off leads. Egg hunts and prizes at new toy store - A new toy store opens in the county today, with Easter egg hunts and prizes to give away. Dover TAP in force along A20 - Lorries are stacked up along the A20 today as Dover TAP has been brought into force on one of the year's busiest travel days.